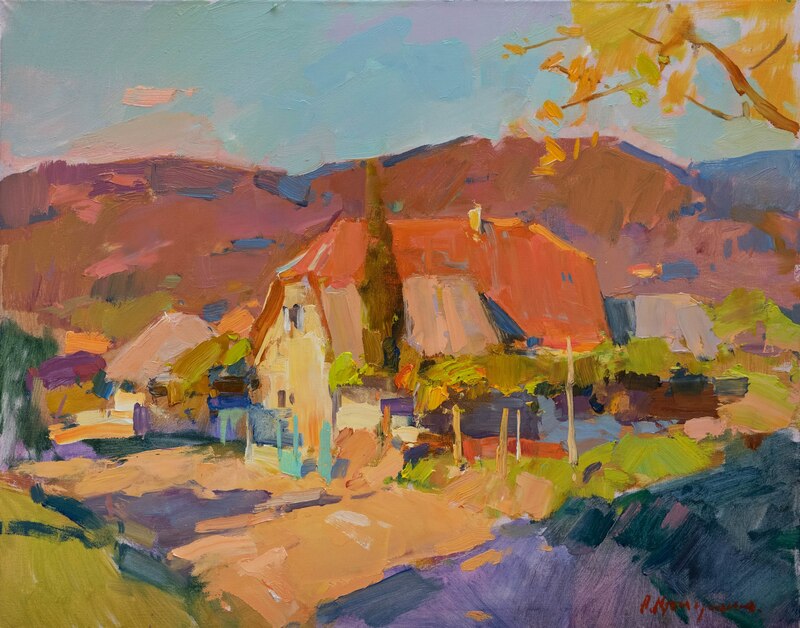 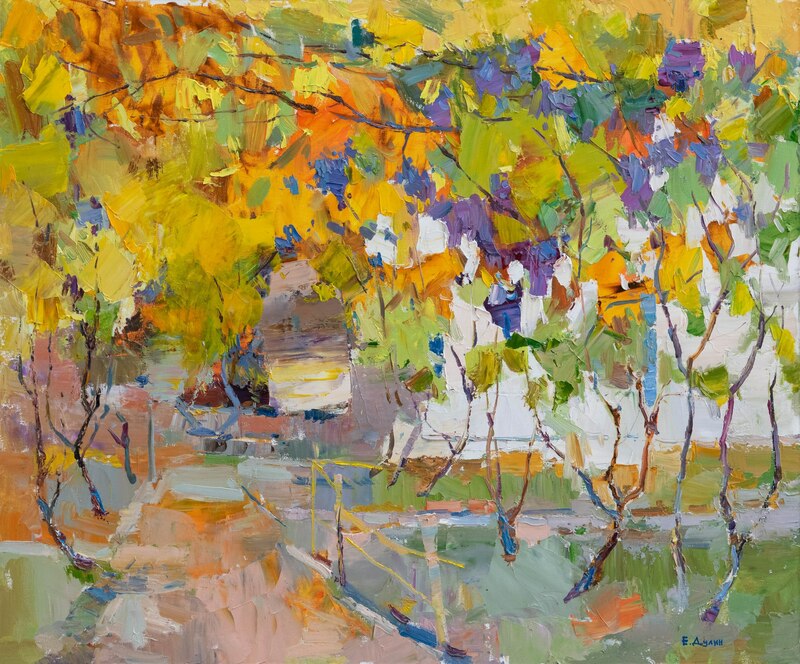 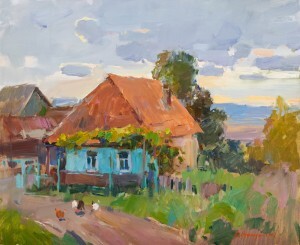 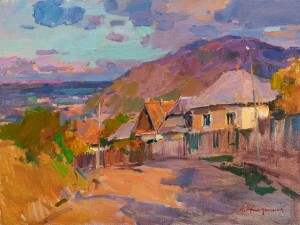 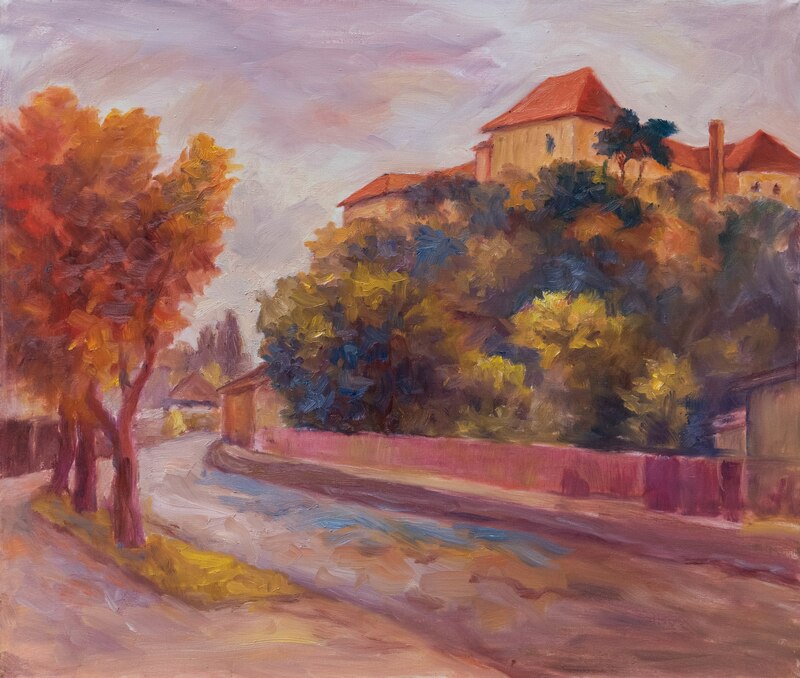 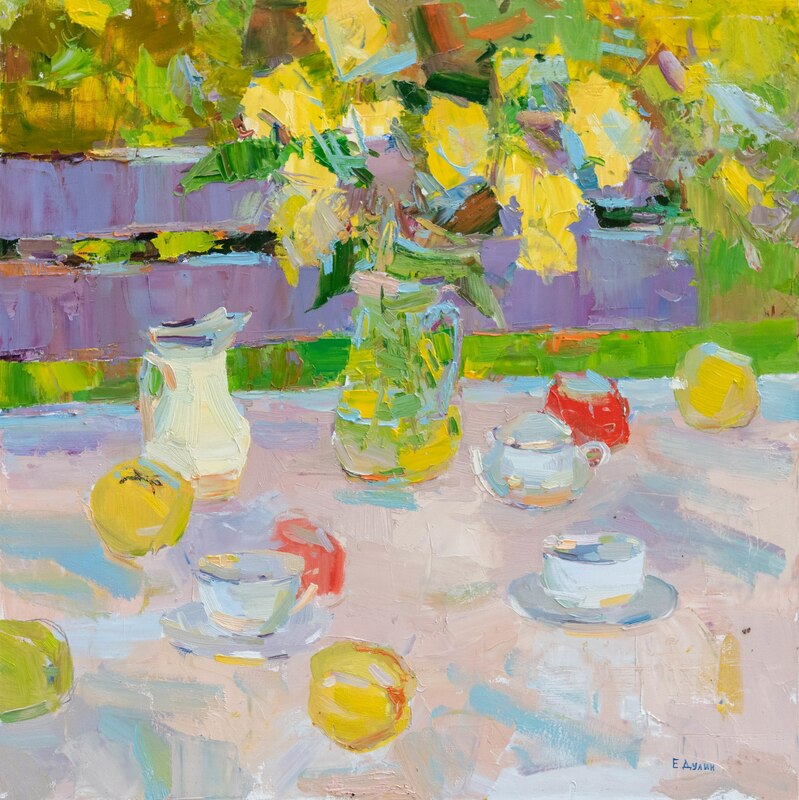 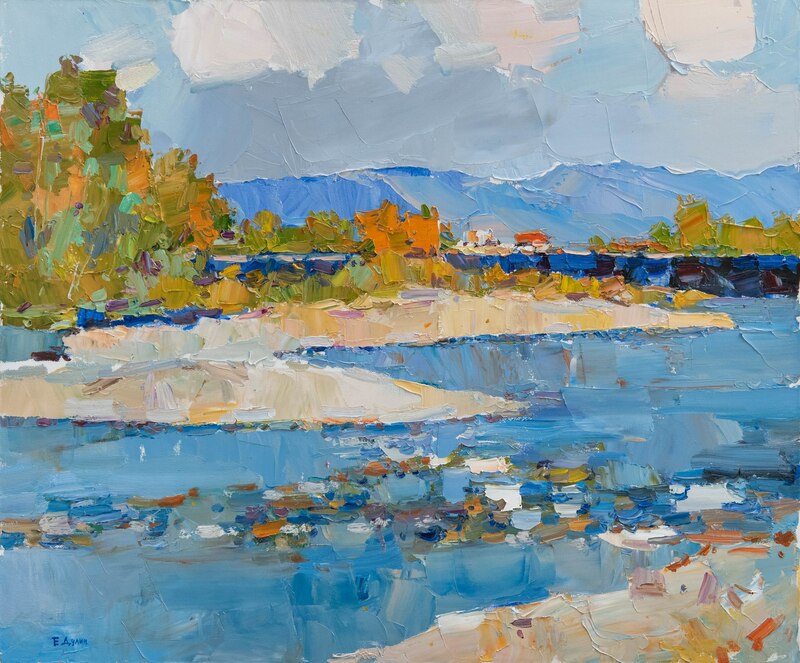 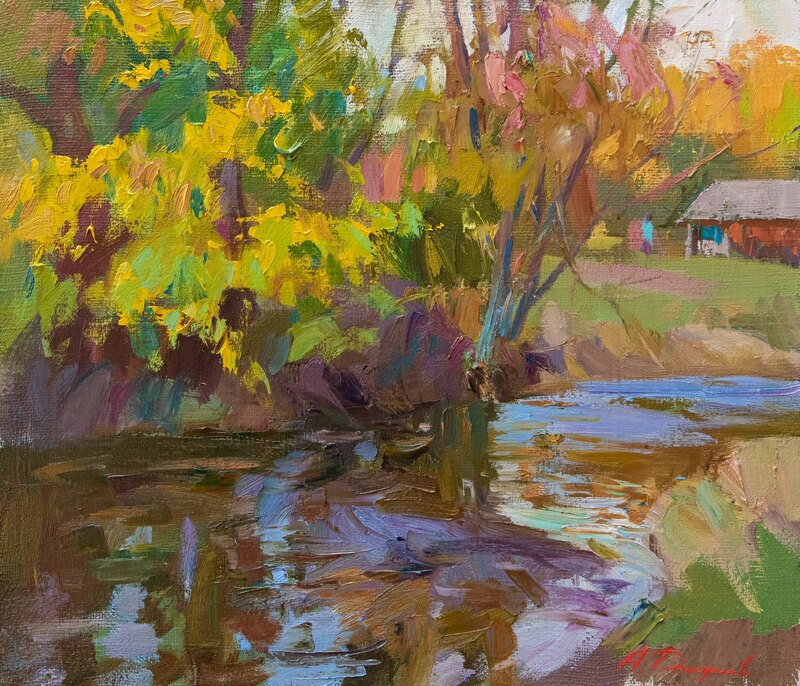 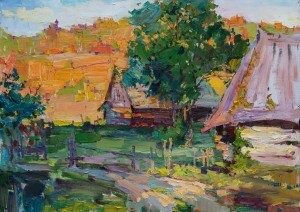 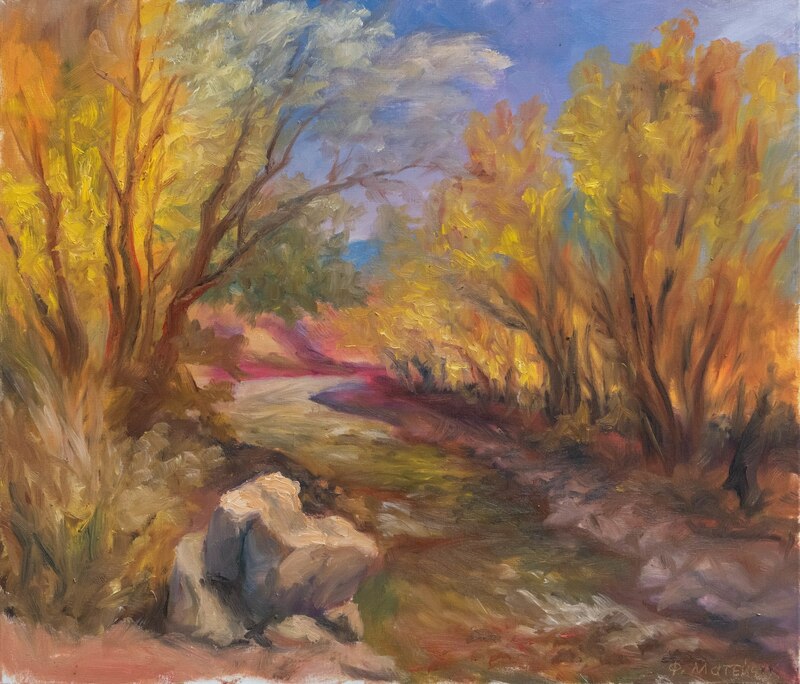 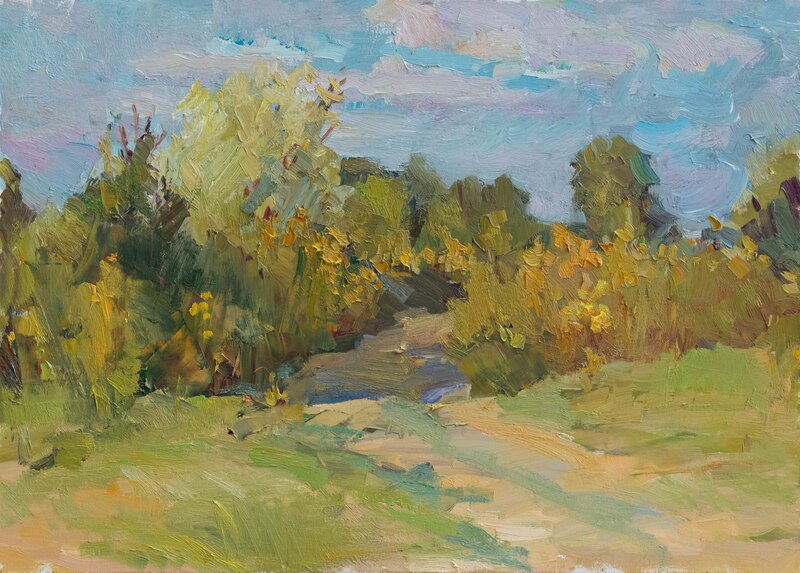 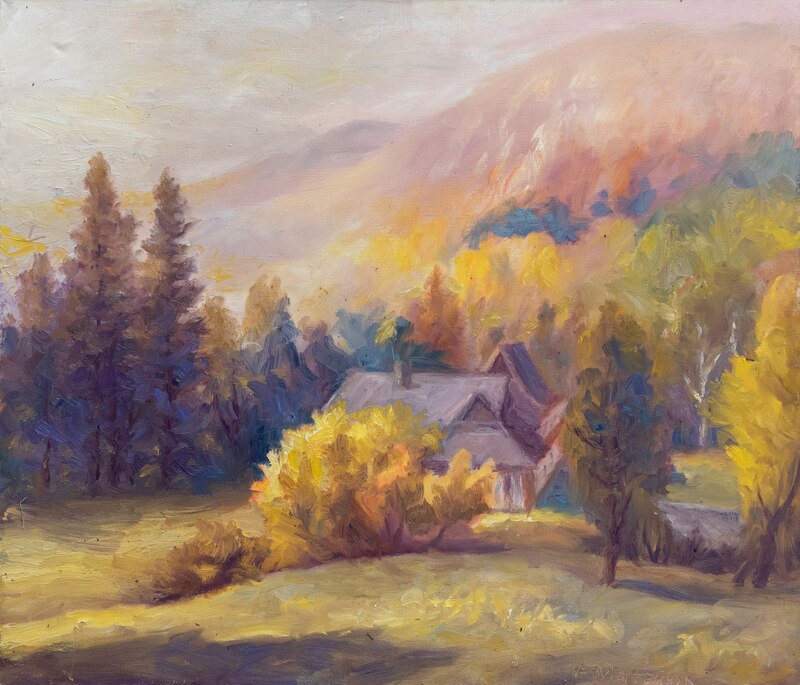 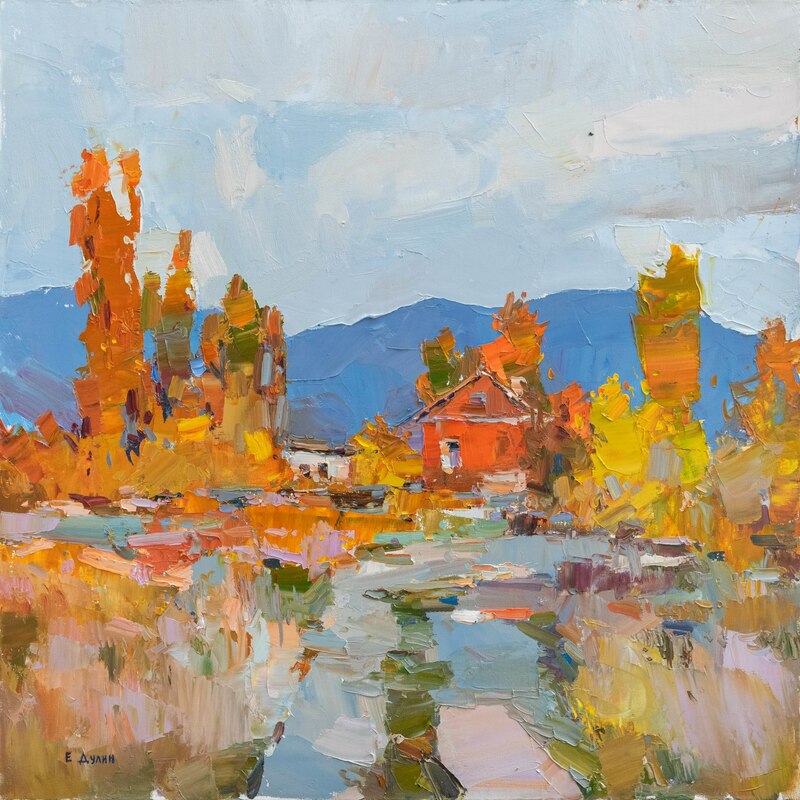 On 9 October 2018, in the atrium of the Transcarpathian Regional State Administration, it was presented an exhibition of works performed during two plein airs: in Korolevo village and Stuzhytsia village. 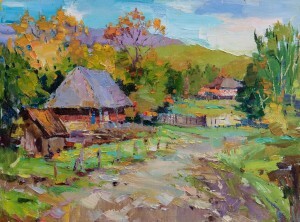 The curator of the exhibition and plein airs – Yurii Dik. 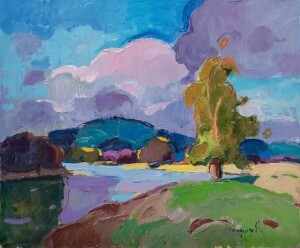 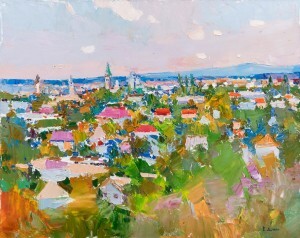 The first plein air, under the title “Masaryk. Our history and our present” took place in September in Vynohradiv region. 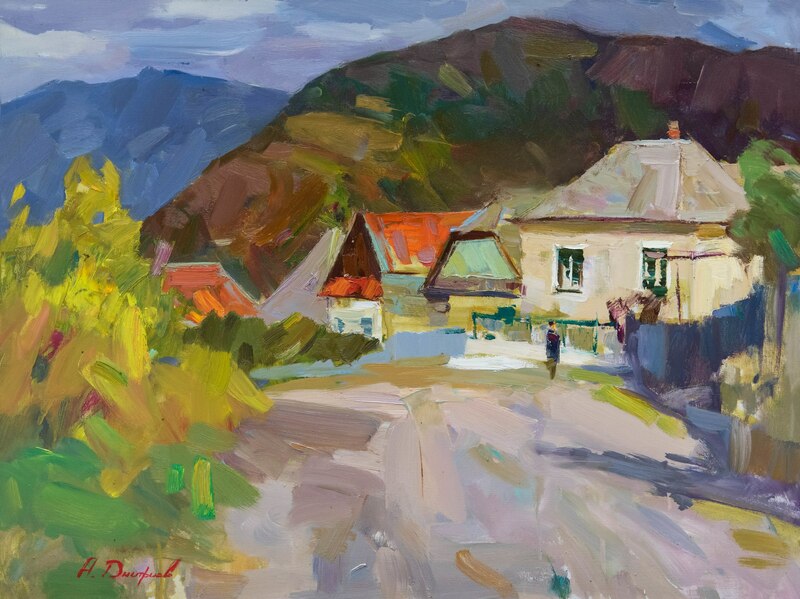 It was dedicated to the 100th anniversary of the formation of the First Czechoslovak Republic. The second one, “Lemkos pastels. Four seasons of the year”, has just started in Stuzhytsia village and will last until 15 October. 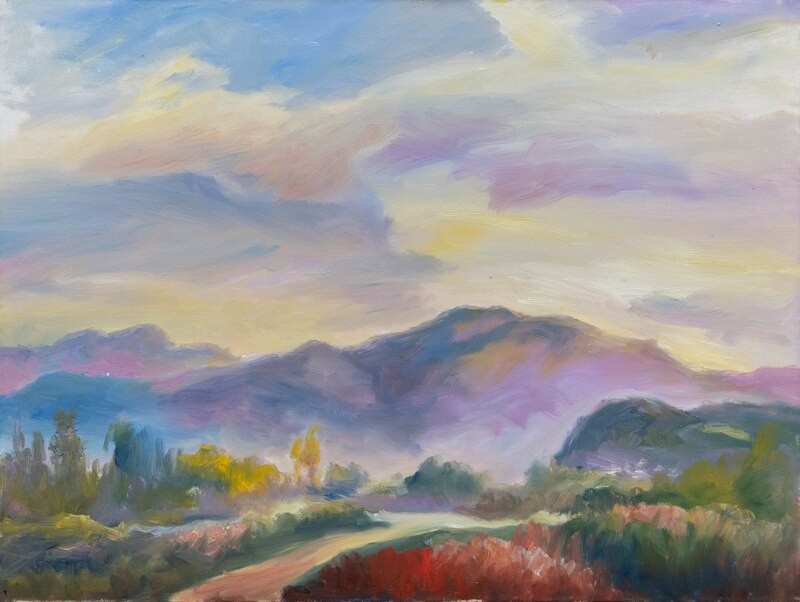 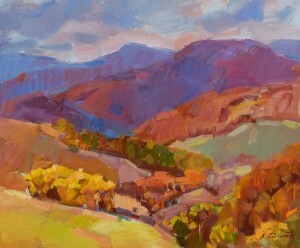 Thus, presented are only those works that have already been completed – just from the easel. 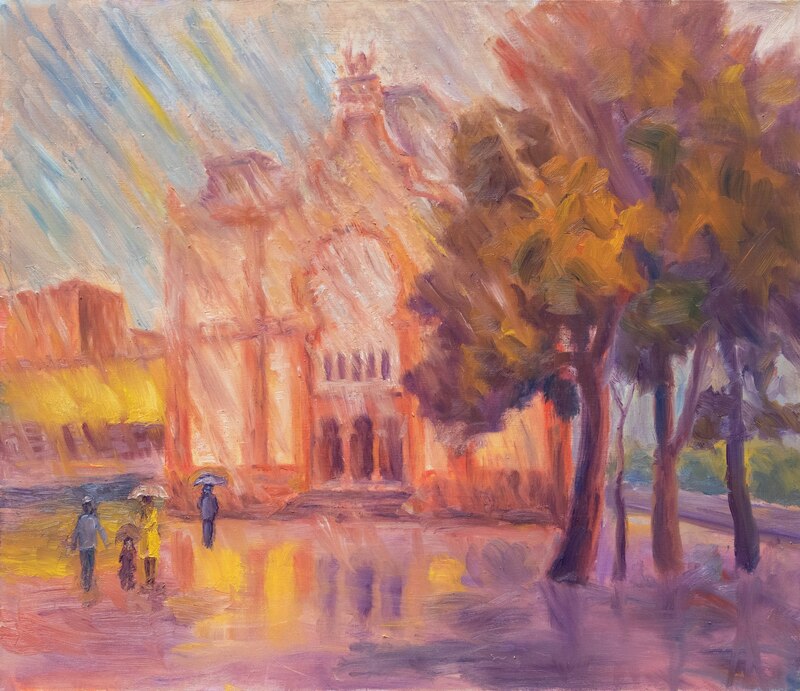 That is why there is a smell of the fresh paint in the atrium of the Regional State Administration. 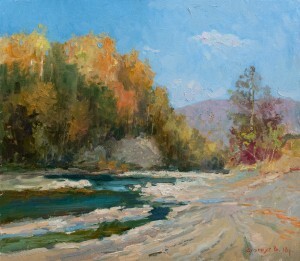 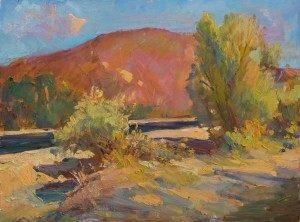 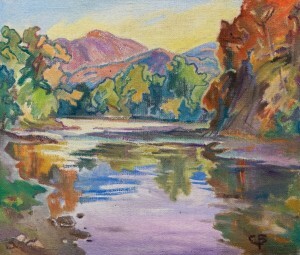 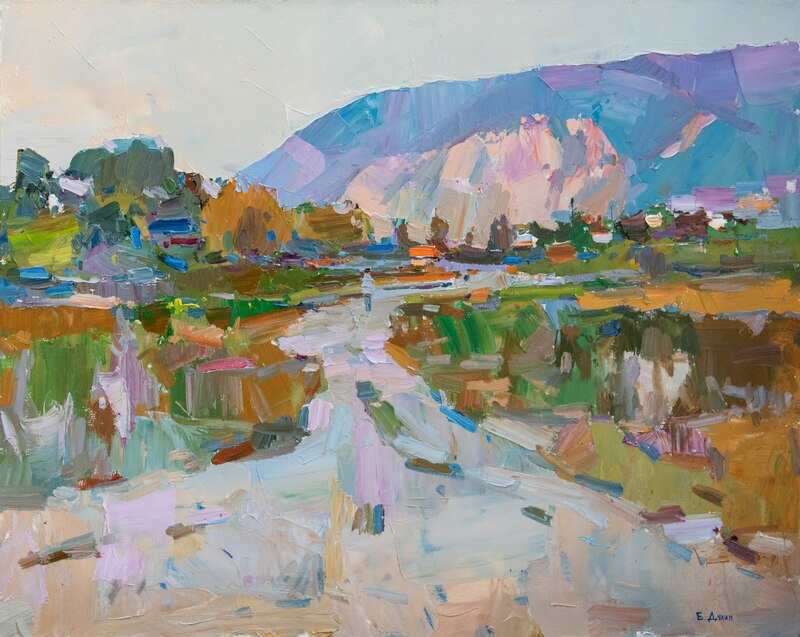 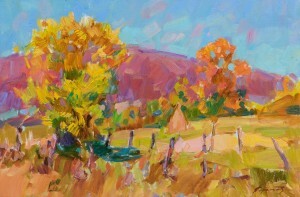 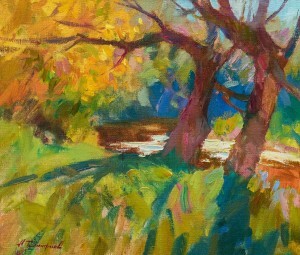 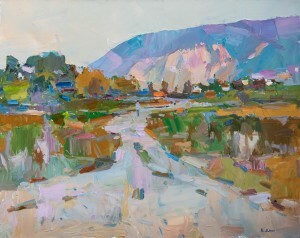 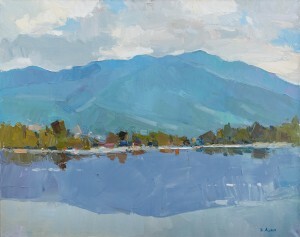 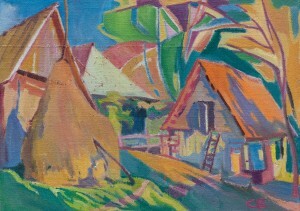 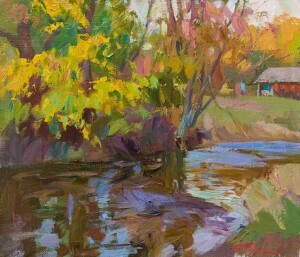 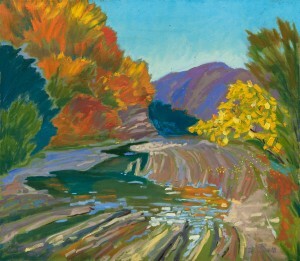 Plein airs brought together around three dozen artists. 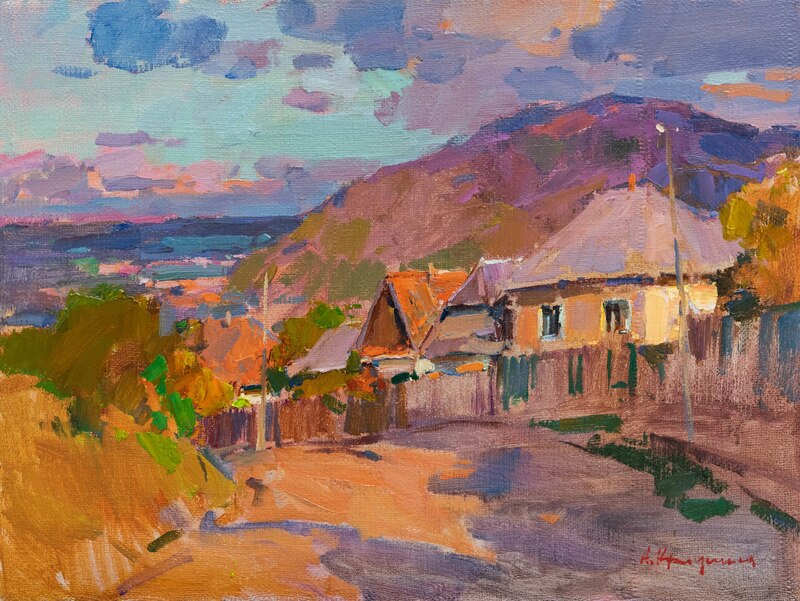 There are artists from different parts of the country: Odesa, Kharkiv, Lysychansk, Kryvyi Rih, Kyiv, Ivano-Frankivsk, and Lviv. 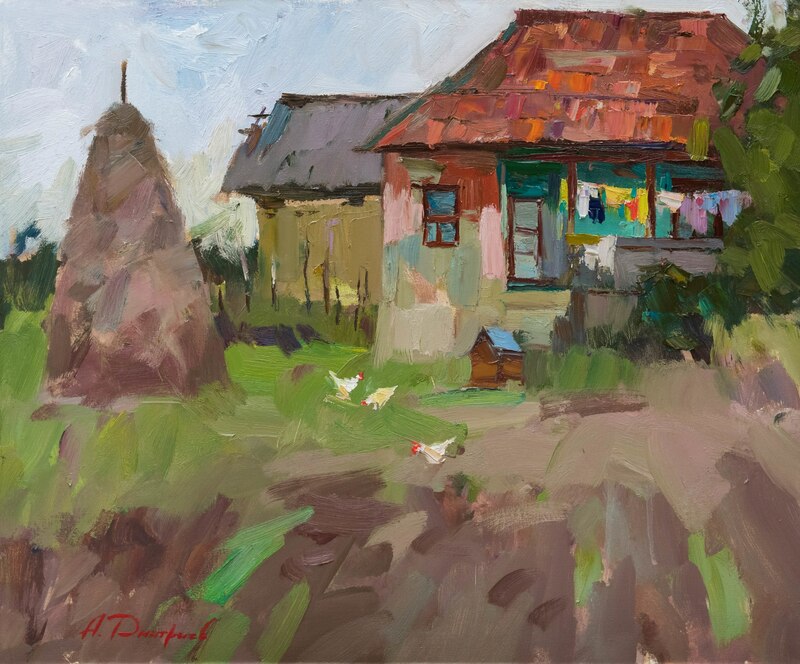 Transcarpathia is represented by Viktor Chepynets and Oleksandr Shandor. 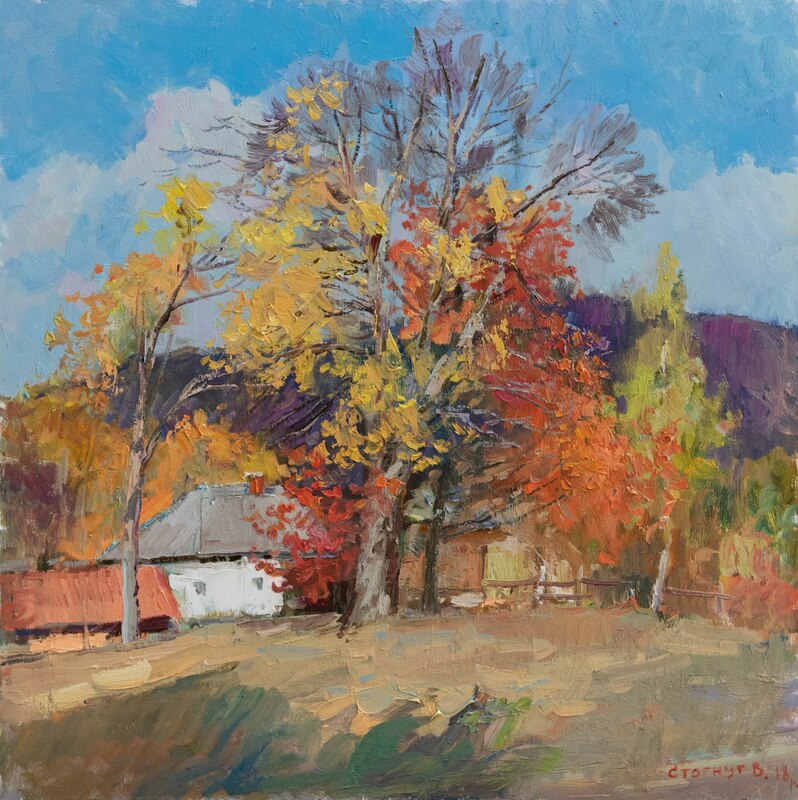 In addition, the authors are representatives of different generations: “It seems to me that thanks to it, the plein air will be instructive. For everyone,” the organizer of the plein air notes. 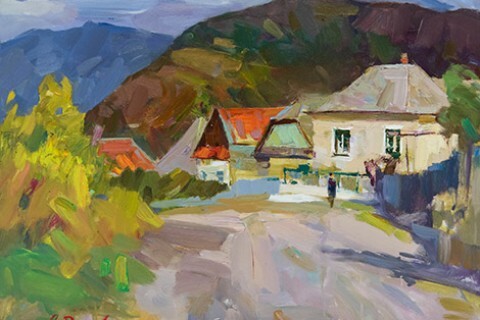 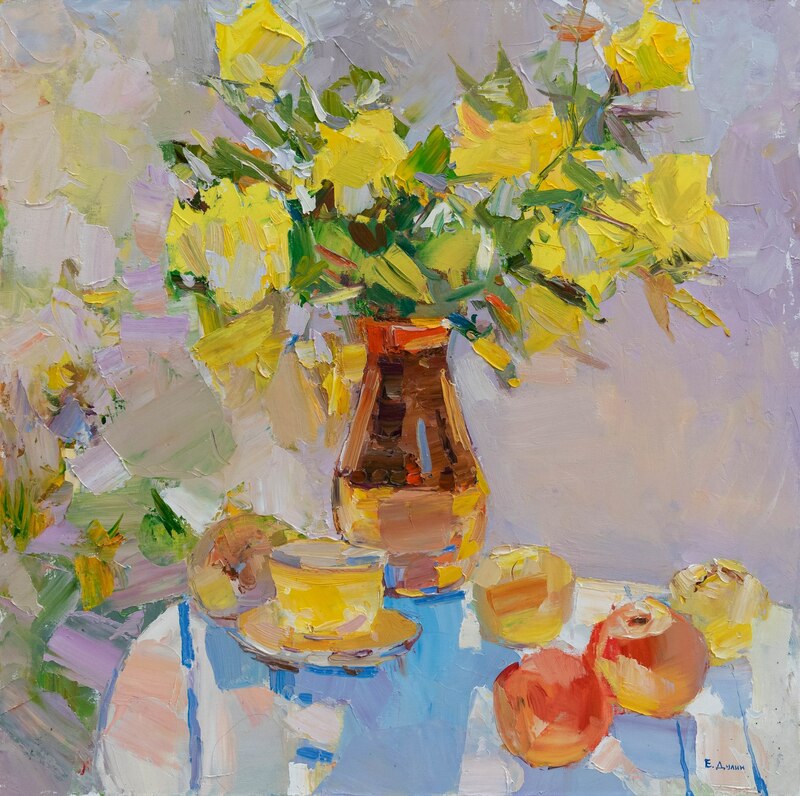 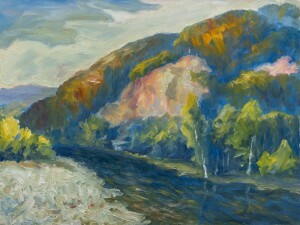 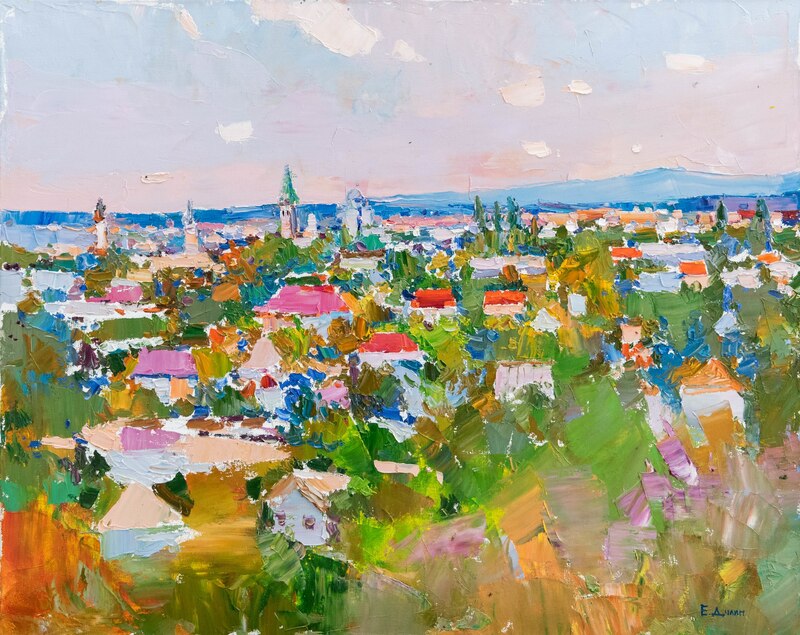 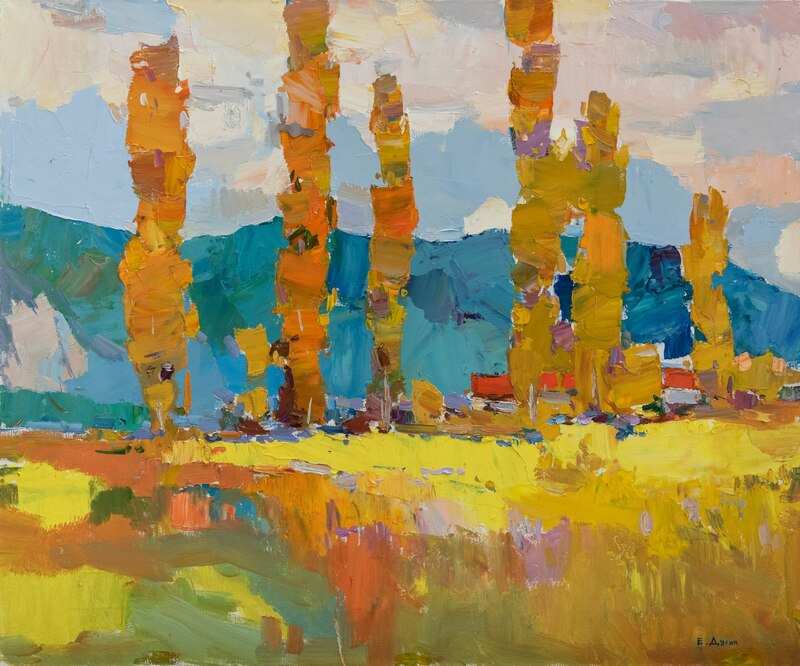 About 60 canvases of various genres are made in oil and represent Transcarpathia through the prism of perception by the representatives of different painting schools – this makes it more interesting to look at the exposition because it gives an opportunity for comparison and deep thoughts. 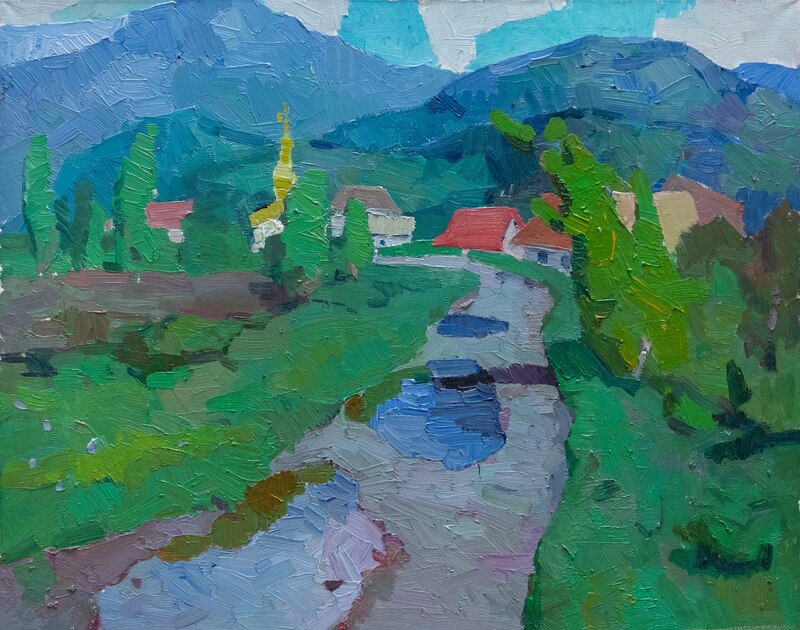 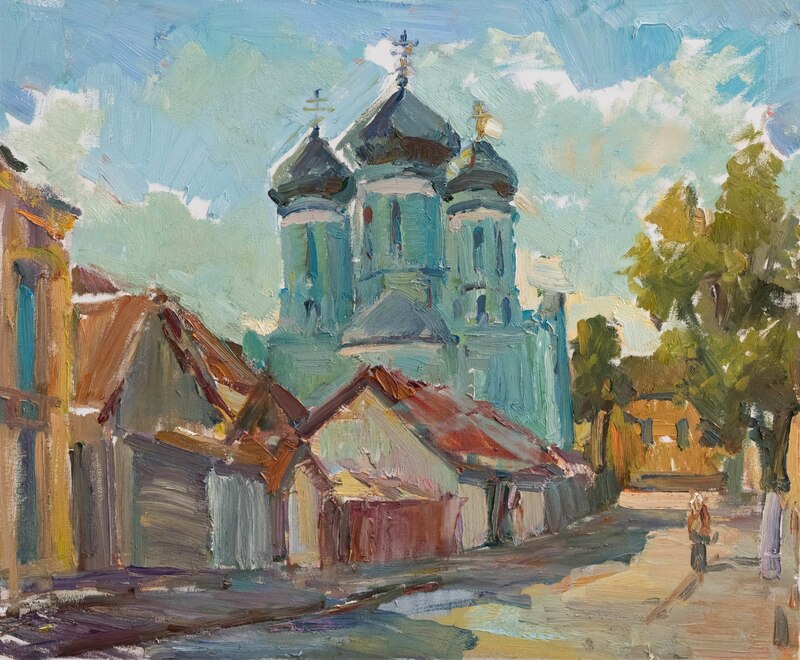 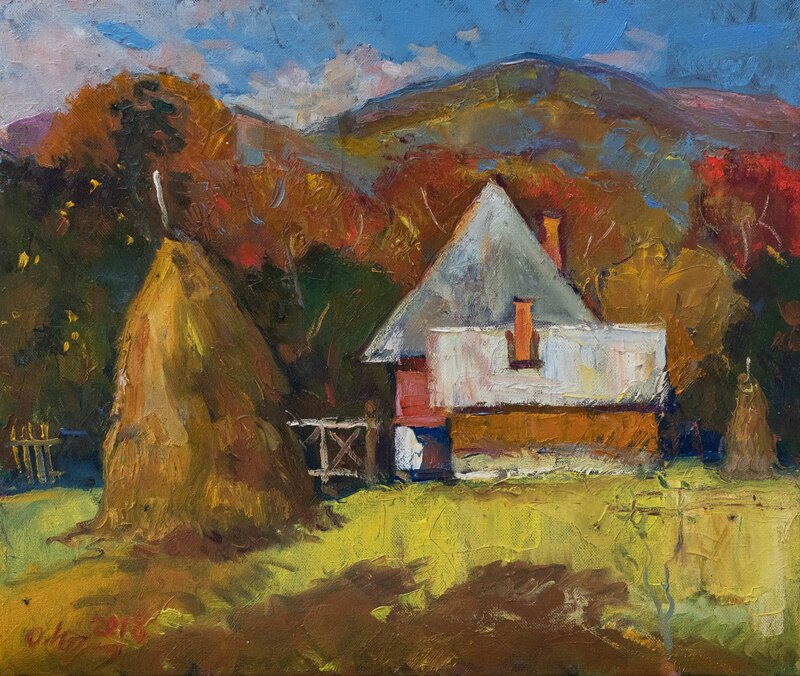 Landscapes prevail here – the artists show the nature of Transcarpathia and its sacred architecture. However, there are several still lifes. 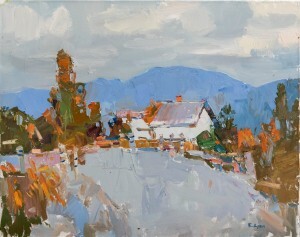 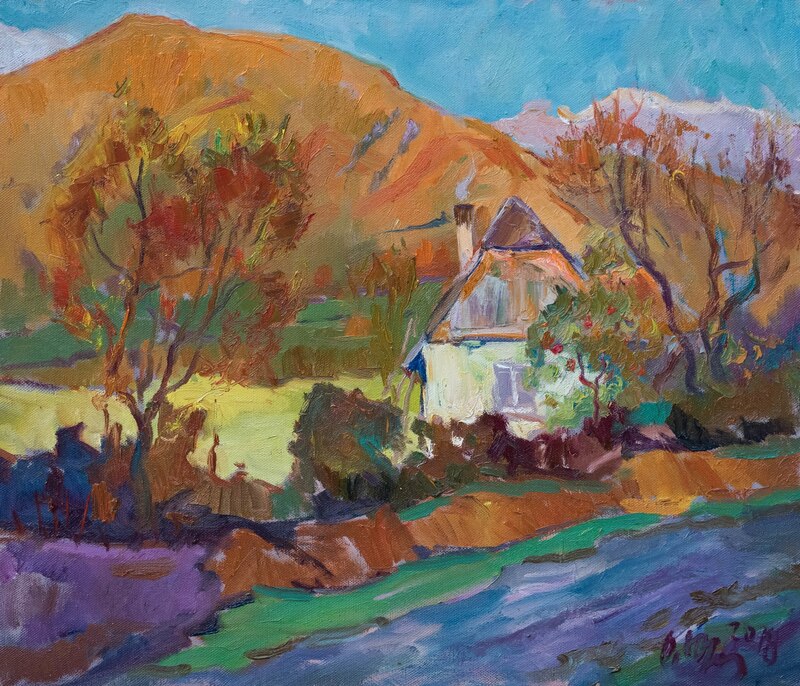 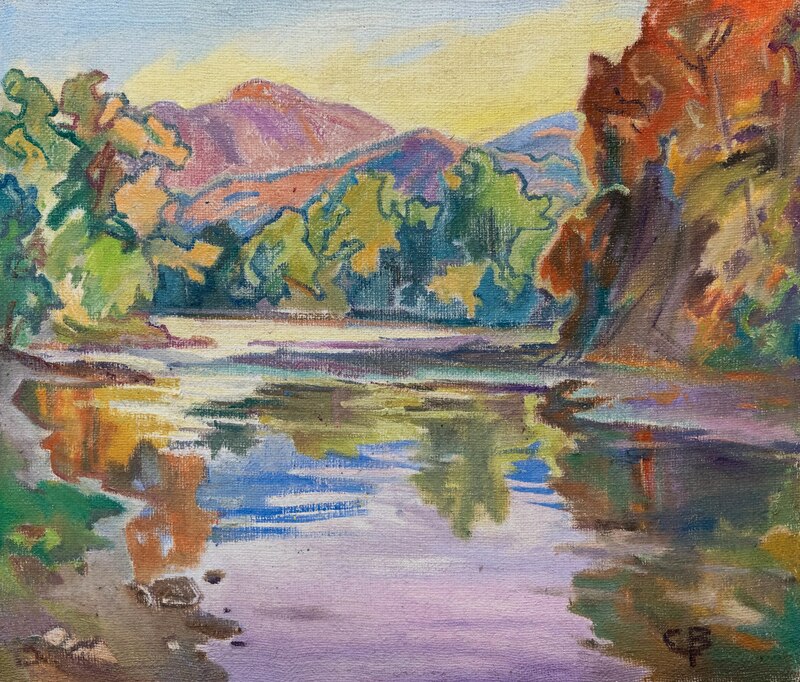 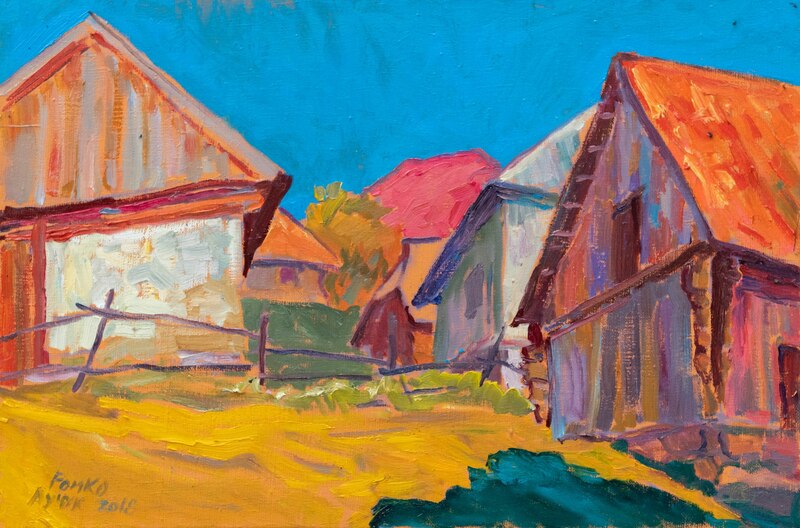 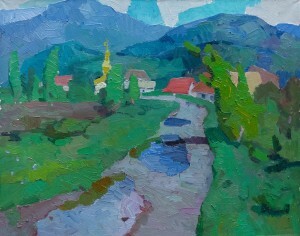 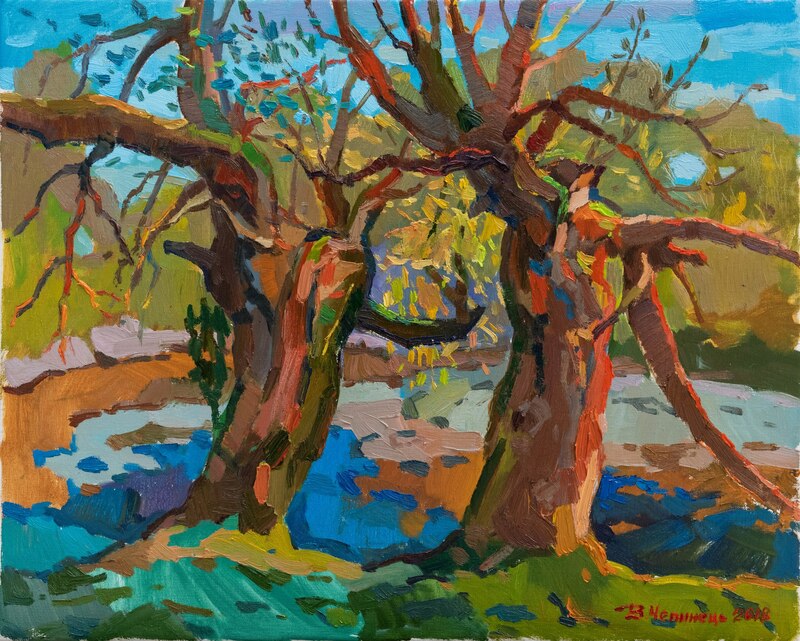 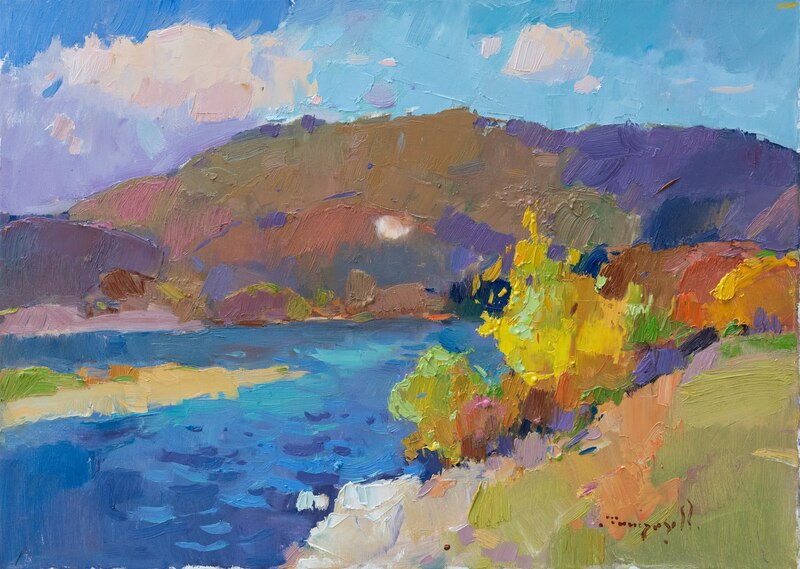 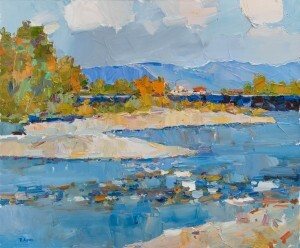 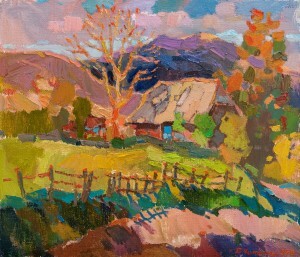 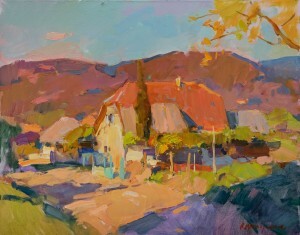 The works of Transcarpathian artists are easy to recognize by hot tones. 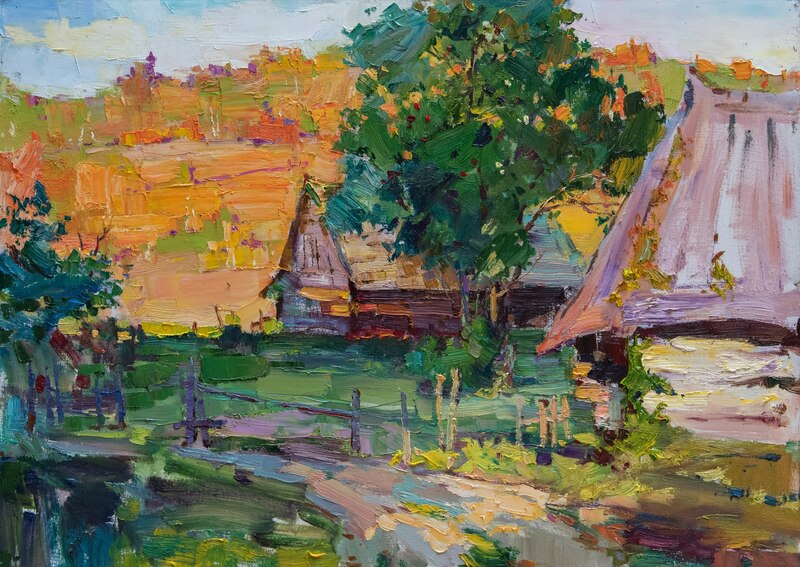 As Yurii Dik announces, the exposition can be changed and supplemented. 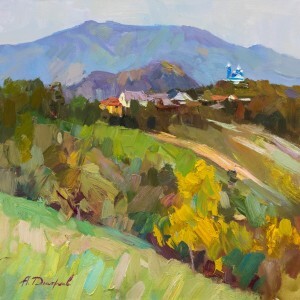 It will last at least until the end of the week.